Advertising is one of the best media platforms to promote products and services in Lucknow. The city is the largest market of advertising in Uttar Pradesh, projected at more than Rs 200 crore. Newspapers, periodicals, and radio and television are the popular means of broadcasting in the city. 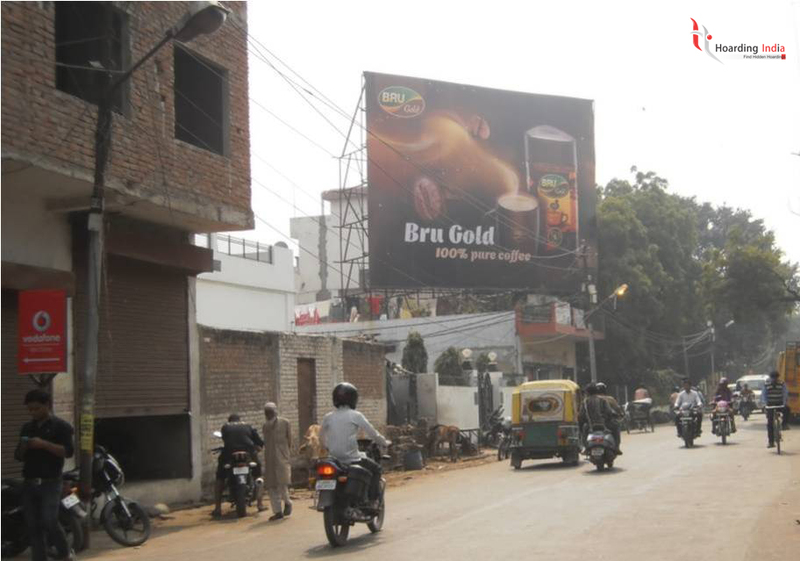 However, in the recent times, the Out Of Home (OOH) or the Outdoor Advertising Services are gaining momentum in Lucknow. Lucknow is a city that offers good blend of comforts of a small city while offering its residents the advantages of a big city. This blend has made Lucknow one of the best cities in India. A recent survey which states that Lucknow is the second happiest city in the country proves the fact. When you have a city with happy and content people, the business and commerce of that city is bound to improve. When business increases the need for advertising and publishing the business also enhances. Lucknow allows its people to have enough time to enjoy life with friends and family. And with the improved standard of life and infrastructure, Lucknow is no longer lagging behind when compared to luxuries of metro cities. All thanks to Media and Advertising, especially outdoor advertising people are getting aware of any new and latest products and services that arrive in the market. Outdoor Advertising is one such popular technique that has reached all across the country, including small cities. With premium quality of Hoardings, Unipoles and Billboards, the OHH form of advertising has been successful in effectively influencing the right audiences everywhere. Moreover, the tier-II cities in the country have been getting all the more attention of big brands and advertisers of late. These cities have been successful in gaining recognition from renowned brands and companies from across the country and beyond. Lucknow being one such popular tier-II city and the capital of Uttar Pradesh has been widely targeted by advertisers via various forms of Advertising. Moreover the entrance of large number of Outdoor Advertising agencies in the city has also helped turn Lucknow as a sought after city for advertisers. Along with the traditional tools, these advertisers are also using OHH modes of advertising like Hoardings, Billboards, Unipoles and Mobile advertising to target the right audiences. The fact that this Outdoor Advertising is cost effective and long lasting makes it all the more viable. By choosing the right vendor and by positioning the product or service properly, it is very easy for advertisers to get noticed these days. Lucknow definitely presents each and every quality required to make a product shine in terms of business. The city serves the advertisers well by offering a great amount of good agencies that provide best Outdoor Advertising facilities in the city. You can see outdoor ads in the bus stops, malls and multiplexes, across foot-over-bridges as hoardings and billboards. You can also see them in the form of Unipoles and Mobile hoardings alongside roads and all over the city and it is a fact that the more you get seen, the more you get sold. Thanks for sharing the informative article with us. Really an pleasing article to read. Thanks for the information, I love this blog and know these starups to be up to date .